Stop! 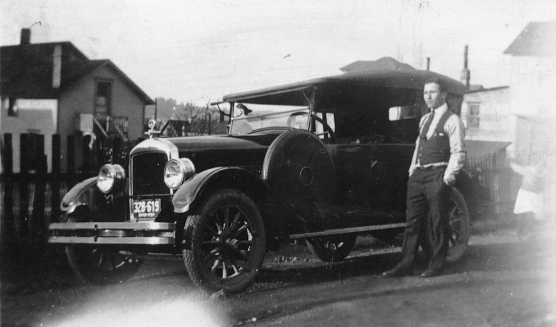 Don't add another person to your family tree until you read this. How you ever looked at facts in your tree and not known where they came from? Have you seen hints that made no sense for your person at all? 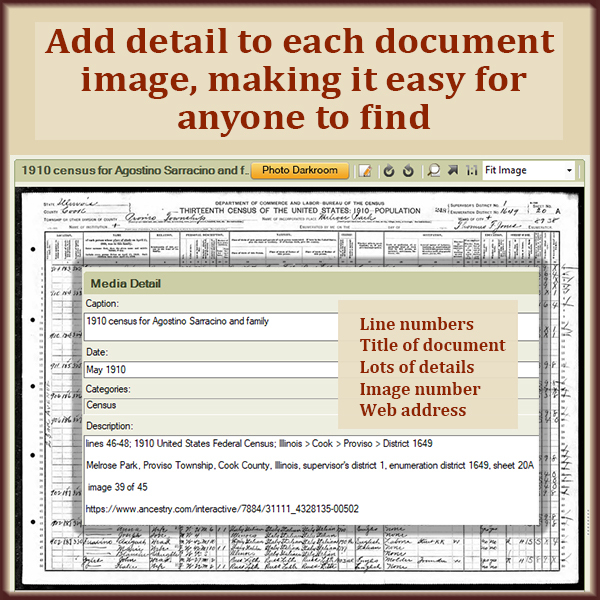 Did you ever need to find a document online again, but you couldn't because it was so hard the first time? You can solve these problems and more. And you'll make your tree more professional and reliable at the same time. These 5 clean-up tasks will improve your search results and fortify your family tree. And, in some cases, restore your sanity. In my family tree of 19,709 people, I have about 250 with a blank birth field. How can I expect a good search result if there's nothing to say which century they were born in? For instance, in my tree there's a woman named Angelina Tedesco. But, was this Angelina born in 1920? 1840? 1780? That makes an enormous difference in a search. Both parents are missing birth years. I'll subtract 25 years from their oldest child's birth year. If I have a birth year for the spouse (say, 1915), I give this spouse the same year (Abt. 1915—Abt. is short for About). If I have birth years for a set of parents, I give all their children an approximate birth year 25 after the younger parent's birth. For example, if a man was born in 1920 and his wife in 1930, I'll mark all their children as Abt. 1955. If I have a couple's marriage year, I'll mark their children as being born about the following year. Granted, they weren't all born the same year, and I could easily be off by 10 or 15 years for some. But "Abt. 1955" will avoid any comparisons to someone born in the 1800s. I get tired of U.S. Federal Census hints for people I know never came to America. I can solve that by adding Italy as their country of birth and death even though I have no documented proof. I'll be cautious about assuming everyone died in Italy. But if their children died in Italy, it's highly likely they did, too. And if I haven't added a source, I'll know this is an assumption. Lots of my relatives lived near one another in the Bronx, New York, from about 1900 to the 1960s. So, when one family is hard to find in the census, it pays to locate another family and keep turning the page. 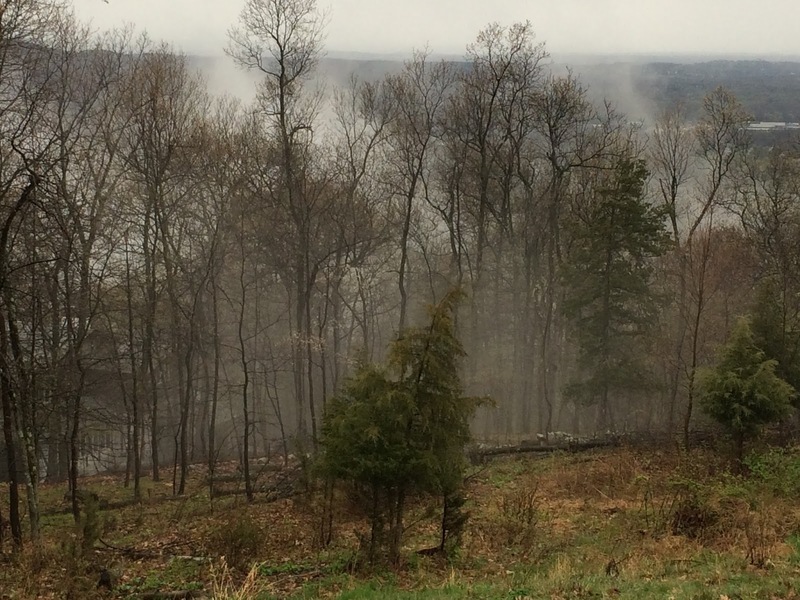 But what happens when the family whose census you have was nearly impossible to find? Their name was so mangled and the transcription was awful. You can't even find them again! You can avoid that hassle. Add notes to each document image when you find it. Make a note of how the name was transcribed (if it's dead wrong) and the URL where you found it. Enough detail makes your documents retraceable. Here's a great clean-up task—especially if you are sharing your family tree. 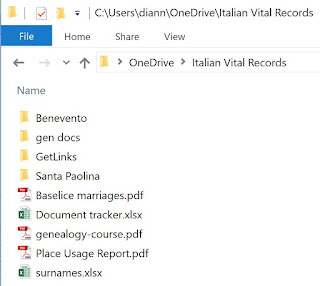 Go back and add details to all the document images you've collected. 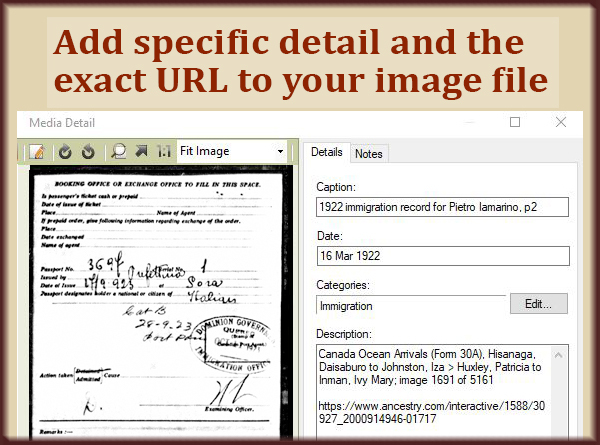 If you do one category at a time (census, ship manifest, draft registration cards, etc. ), you'll be more consistent in how you annotate them. associated with any given address. When my ancestors were living in the Bronx, their streets had names like E. 150th St., Morris Ave., and Van Nest. I had so many families living nearby that many were on the same street or in the same apartment building. Being consistent in how I type the addresses makes it easy to see when I have multiple families in the same building. 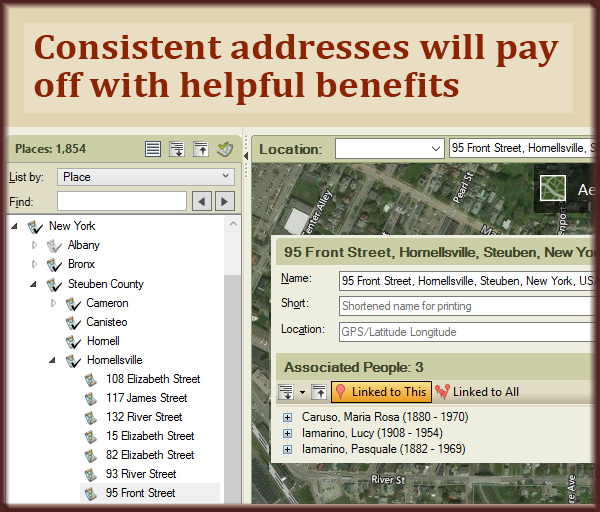 Family Tree Maker starts suggesting places as I type. It makes suggestions based on what I've typed before. I admit it. 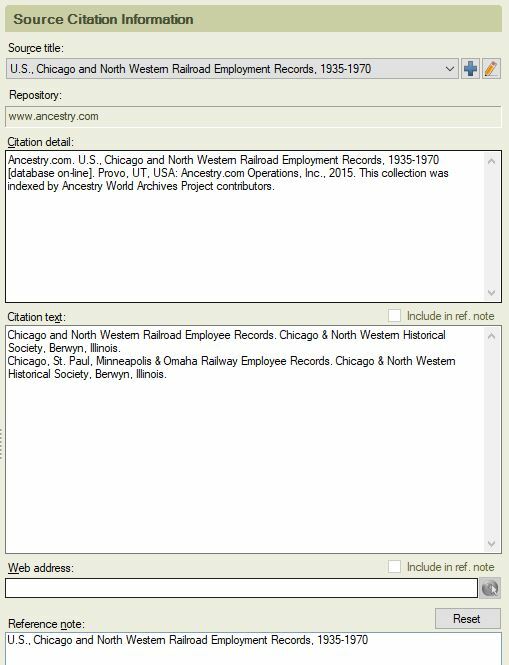 Professional genealogists will tsk-tsk my sourcing style. But we can all agree you've got to include a source that allows someone to find a document or fact again and verify it. An example of a simple source note. This matches the database name on Ancestry.com. 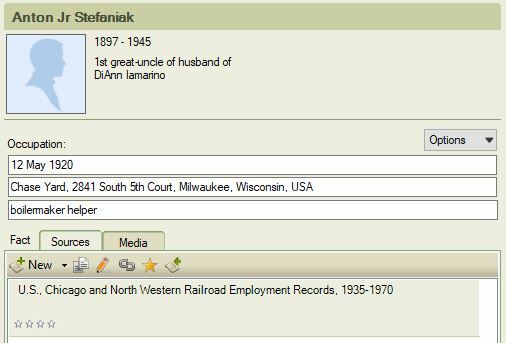 But I add more detail in the Sources tab of Family Tree Maker. 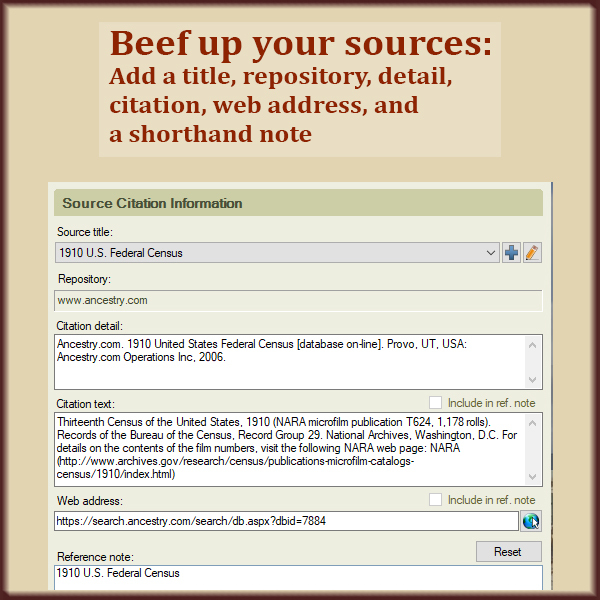 In the Citation detail field, I'll copy the citation details from Ancestry.com. For example, for that last Passenger and Crew Lists database, the citation detail is "Ancestry.com. U.S., Departing Passenger and Crew Lists, 1914-1966 [database on-line]. Provo, UT, USA: Ancestry.com Operations, Inc., 2016." In the Citation text field, I add a bit more info from Ancestry, like "Sources vary by state: http://search.ancestry.com/search/dbextra.aspx?dbid=60882". I don't often use the Web address field. But if there is a single URL that's the best place to find a source, that's where it belongs. 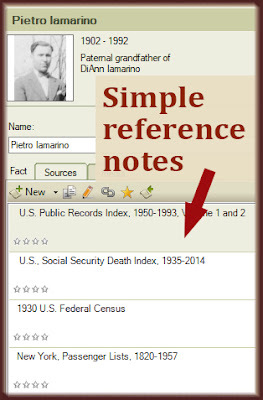 Finally there's a Reference note field. This is where I put the brief text I want to see on the Person tab. It almost always matches the title I used, like "U.S., Departing Passenger and Crew Lists, 1914-1966". 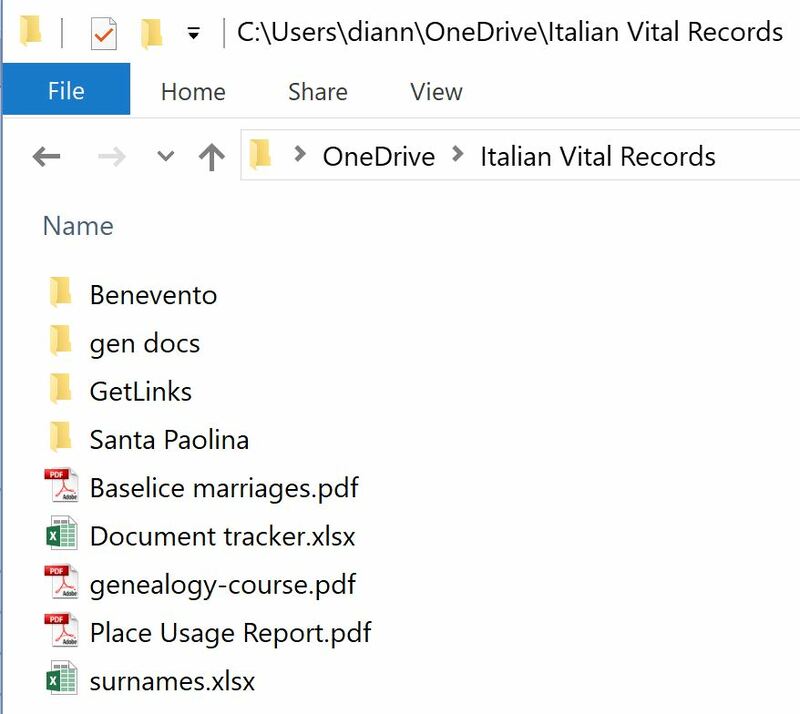 I don't want to have a unique source for each document. 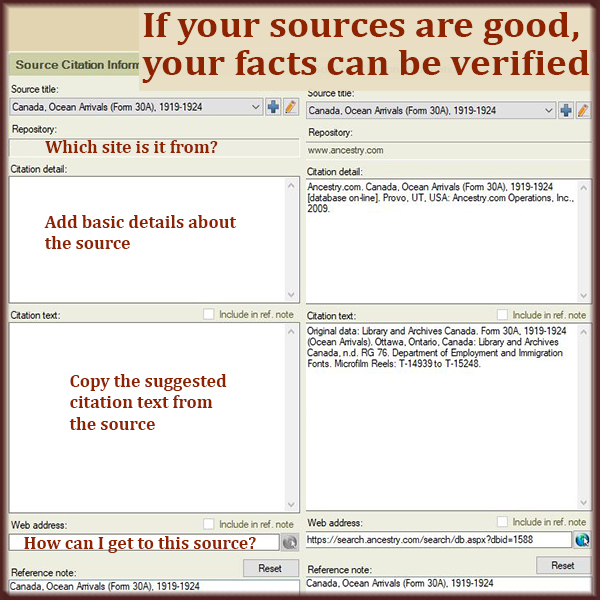 I'd have 3,244 sources! That why I put the exact URL and details on the image document itself (see #3 above). My source is more generic. My image is completely specific. An example of a more complete source citation. Today I'm tackling my people with no birth year. While I'm there, I'm also adding Italy as the birth and death place for my 19th century and earlier relatives. I've already annotated my 544 census documents, but I need to finish my ship manifests. Then I'll move on to draft registration cards and the rest. I'm already pretty confident in my place names and sources. It's a lot of work, but aren't you doing this to find and preserve your history? Isn't it worth doing well? These are 5 clean-up tasks you can tackle. Make a start on each one so you can develop your style and be consistent. The longer you put it off, the more of a chore it becomes. I rarely come up with a hypothesis about my family tree. An idea that might be the truth. But this week I formed a logical theory. A theory gives you some facts to work with when you have little or none. Then you can do the work to prove your theory true or false. Here's an example for you. See if this can apply to your family tree research. Work through the details of your theory to prove it true or false. In 2008 I discovered the location of several of my third cousins outside Pittsburgh. Soon after my discovery, my husband and I were heading to Pittsburgh for his cousin's wedding. The stars aligned, and my newfound cousin invited me to her home on the day of a big family party. One of my third cousins is very interested in genealogy. She and I worked together for weeks to build out her portion of the family tree. She gave me facts and photos, and I gave her an amazing tree to print out. One fact she provided didn't sit right with me. It was her grandmother's name. The family knew her as Louise Villnaci deBellis. Since she was born in Italy, I was sure her given name was Luisa, not Louise, but that's no big deal. The part that bothered me was her middle name. Villnaci? That's not a proper Italian name. And it isn't a middle name. Something was wrong there. Fast forward ten years. 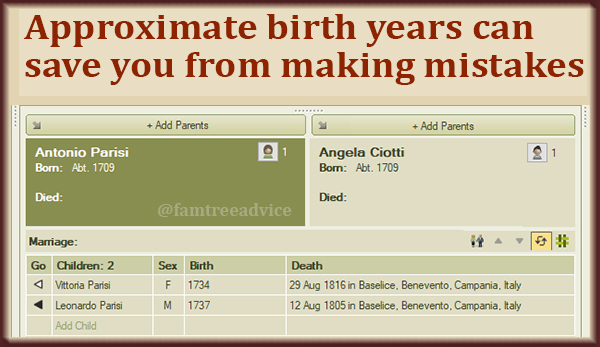 Now I have the Antenati (ancestors) website that offers Italian birth, marriage and death records dating back to 1809. I've downloaded every record for my ancestral hometowns. One of my towns is Sant'Angelo a Cupolo in the province of Benevento and it's smaller hamlet of Pastene. That's where my grandmother's first cousin Giuseppe—Luisa's husband—came from. I began to notice in those records that deBellis was a bit common and Villanacci was a bit common. Aha! Villanacci. That's a proper Italian name. Surely that's what "Villnaci" was supposed to be. So I figured Luisa deBellis' "middle name" was Villanacci. That makes sense. But the concept of a surname as a middle name doesn't fit this period in Italy. So where did Luisa's Villanacci come from? Luisa was born in 1895, and of course that one year is missing from the Antenati records. 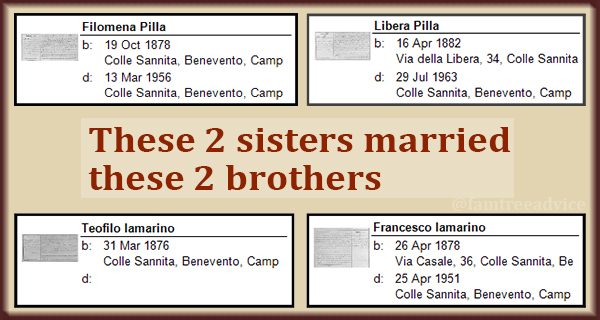 Searching records around 1895, I found a baby born to Luigi deBellis and Luigia Villanacci. Ooooh. Now that sounds like a theory! What if Luisa, who left her family to come to America, wanted to make sure her descendants didn't forget the Villanacci name? What if she was holding onto her mother's last name to preserve it? I found no other children for this couple, but they could have had Luisa in 1895. 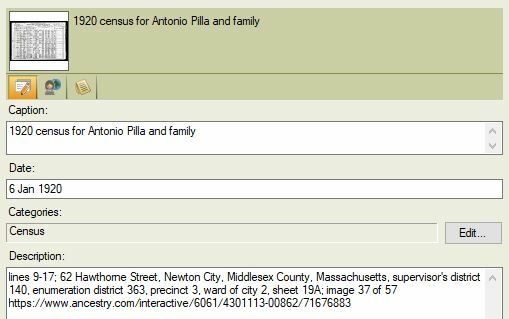 On most of her children's birth records, Luigia Villanacci's father's name is Angelantonio. Luigia was born around 1862, so I found her birth record on 14 February 1862. Her father was Angelantonio and her mother was Maria Maddalena Sarracino. Bonus! Luisa's husband—my grandmother's first cousin—was also a Sarracino. It's a small town. I found one sister for Luigia Villanacci named Mariassunta, born in 1864, and their grandfather was Giuseppe Villanacci. So that is my theory. 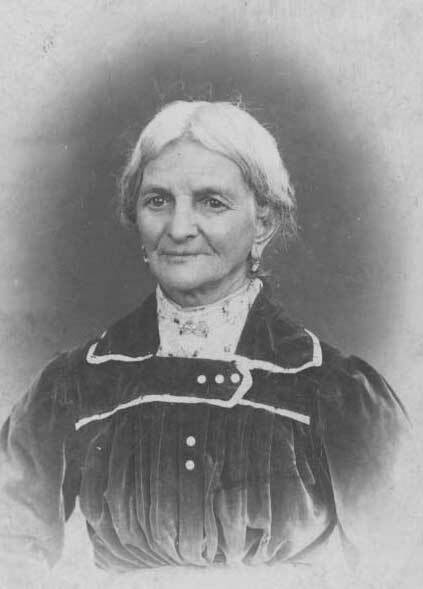 That "Louise Villnaci deBellis" was Luisa deBellis, born to Luigi deBellis and Luigia Villanacci. Now, to prove it. Without her birth record! I've added the five children above, Luigi and Luigia, and Luigia's parents and sister to my tree. I included a note that this is a theory under investigation. I did that yesterday, and today Ancestry.com gave me a hint. It's for Filomena deBellis, the possible sister of Luisa deBellis. Filomena came to America, married Vincent Ragognetti. I know she's the right Filomena because her Social Security Application and Claims Index names her parents, Luigi de Bellis and Luigia Villanacci. And it calls her Filomena Ragognetti. In the 1925 New York Census, Filomena is in Manhattan with her husband Vincent and their three kids. In 1939 Filomena died in the Bronx. This is how I will prove or disprove my theory. Now, I could buy Luisa's death or marriage record online and hope they give her parents' names. But first, I can search for every possible fact about the five people I think are her siblings. Maybe one of them will have a document that ties them to my Luisa. Luisa married Giuseppe Sarracino in Manhattan in 1918. Maybe she lived with one of her siblings before her marriage. Maybe her immigration record will mention her mother's name. This is how you can turn a theory into facts. Take a look at one of the dead-ends in your family tree. Someone for whom you have no parents, no immigration record, no siblings. Can you form a theory? Maybe it's a theory based on facts from their hometown. Or maybe it's a theory based on where they lived and those who lived near them. Pick your theory apart, fact by fact. Verify everything you can. Add to the puzzle. Prove or disprove parts of your theory. 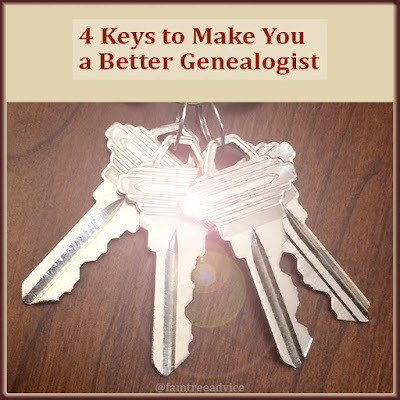 Investigating everyone around your ancestor can unlock their mysteries.